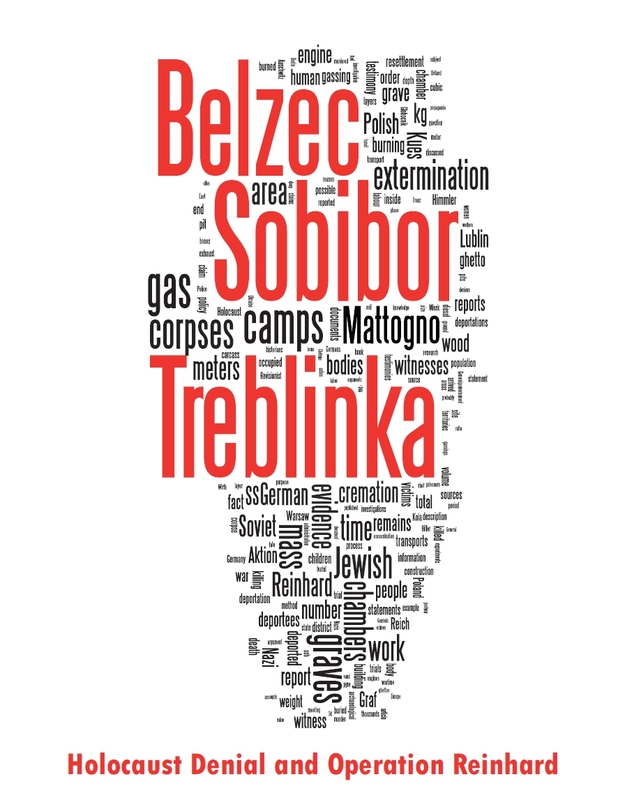 As the people who disappeared from the face of the earth in Belzec extermination camp were more or less all – i.e. except for "many thousands" (O’Neill) "at least 15,000" (Tregenza) or "at most several hundred" (Mattogno) – incinerated, according to the pertinent eyewitness testimonies and defendants’ depositions, a "Revisionist" doesn’t go far by mouthing off about the number of still unburned corpses, which even according to Tregenza’s estimate is relatively small. It must therefore be established, so Mattogno tells his readers on page 82 of his book, "whether the volumes of the mass graves identified by Kola and the amount of ash from human beings and wood the graves contain are in keeping with the mass cremation of hundreds of thousands of corpses, or, more exactly, 600,000 corpses". On the basis of experimental data, the maximum capacity of a mass grave can be set at 8 corpses per cubic meter, assuming that one third of them are children.260 Hence, the alleged 600,000 corpses at Belzec would have required a total volume of (600,000÷8=) 75,000 cubic meters. The average depth of the graves identified by Professor Kola is 3.90 meters. Assuming a layer of earth 0.3 m thick to cover the graves, the available depth would be 3.60 meters.261 It follows that the burial of 600,000 corpses would have required an effective area of (75,000÷3.6 =) approx. 20,800 square meters. On the other hand, the surface area of the graves identified by Kola is 5,919 square meters and their volume 21,310 cubic meters, theoretically sufficient to inter (21,310×8=) 170,480 corpses – but then where would the other (600,000 – 170,480 =) 429,520 corpses have been put? First of all, why does Mattogno calculate with 600,000 corpses? This may be a long and widely accepted estimate, and it is also true that Robin O’Neill assumed an even higher number. However, in my opinion, only in regard to the 434,508 Jews mentioned in the report sent by SS-Sturmbannführer Höfle in Lublin on 11 January 1943 to Obersturmbannführer Heim in Krakow, there is an absolute certainty that they were delivered at Belzec. The number of corpses I will hereafter consider thus corresponds to the number mentioned in Höfle’s report. Second, why is it that "the maximum capacity of a mass grave can be set at 8 corpses per cubic meter, assuming that one third of them are children", as Mattogno claims? bodies in a grave with an effective volume of 75 m3 – therefore 1.4 bodies per cubic meter, and that the medical expert Piotrowski, in his first calculation of the content of the mass graves, set a figure of six bodies per 2 cubic meters, thus 3 bodies per cubic meter, half the density proposed by Ball.391 However, in order to take into account the hypothetical existence of children as comprising one-third of the victims, we assume a density of a maximum of 8 bodies per cubic meter. 390 John Ball, in: Germar Rudolf (ed. ), op. cit. (note 81), p. 270. 391 See Chapter III. In the two other mass graves, the number of bodies per cubic meter was even lower. […]I had first read about Kurt Gerstein several years ago, and was soon confronted with his "700-800 people in 25 m2" statement. In the revisionist literature I was reading, it was pointed out that this is equivalent to 28-32 people per square meter. Since a meter is roughly the same as a yard, I could easily visualize this, and I knew that 28 people in a square yard was totally impossible. I immediately came to the conclusion that Gerstein was a lunatic, and was of not much value as an "eyewitness to the Holocaust". STATISTICS AND CALCULATIONS OF THE GAS CHAMBER CAPACITY EXPERIMENT BOX BASE AREA: 21" X 21"
Gerstein's Estimate: "average weight at the most 35 kg." 21" by 21" = 441 sq. in. 8 people per 441 sq. in. = 1 person per 55.125 sq. in. 5 meters by 5 meters = 5 x 5 x 39.37" x 39.37" = 38,750 sq. in. Therefore 703 people, over half children, can fit into an area of 25 m2. While the people in my final experiment were clothed, the people described in Gerstein's account were stark naked. Another point to consider is this: all of the people in the 21" X 21" box were not compressed or pushed together, while the people described by Gerstein were whipped and physically pushed into the chamber. Though it is possible that hysteria could actually disrupt "smooth fitting" of people into a 25 square meter room, yet in my opinion, brute force would overcompensate for this. Keeping in mind all of the above, as well as the fact that Gerstein's lower ratio of 28 people/m2 was reached in the final experiment conducted by myself and my friends, we may conclude that the number of persons, the dimensions of the chambers, and even the weight estimates of Kurt Gerstein are well within the realm of the possible, and are believable. Seven hundred and fifty starving Jews, over half of them children, could fit into a 5 meter by 5 meter room, 1.9 meters tall. However, I will use Provan’s experimentally proven figure of 703 for my ensuing calculations. If 703 living persons could fit into a space of 5 x 5 x 1.9 = 47.5 cubic meters, this meant a density of ca. 15 persons per cubic meter in the Belzec gas chambers. What applies to living people certainly applies to corpses, so it can be assumed that 15 corpses out of a transport to Belzec made up in more than half by children could be made to fit into one cubic meter of burial space in the Belzec mass graves. Assuming such composition for all transports to Belzec, and without taking into consideration the emaciation and size factors mentioned by Provan, the 21,310 cubic meters of burial space estimated by Kola could have taken in 319,650 corpses – if they had been thrown in there all at once. Source of quote: Kogon, Langbein, Rückerl et al, Nationalsozialistische Massentötungen durch Giftgas, page 169. Like Arthur Butz before him, Staglich did not present any evidence to substantiate these allegations. Butz had made the argument about defendants making false admissions in the immediate post-war trials in the late 1940s to secure advantage. One would think that since many of these defendants received harsh sentences, the defendants on trial in the 1960s would have seen the futility of such a strategy. Moreover, if the defendants really did not know anything about gas chambers, they could have denied personal knowledge while not rejecting the overall existence of such installations. Yet, this did not happen; probably because there were too many witnesses, including other defendants, who placed them at the scenes of the crime. Konstanz in dem von der Auskunftsperson als zentral erlebten Handlungskern, sowie gewisse Veränderungen einzelner Aussageteile (soweit nach den Erkenntnissen der Irrtumslehre erwartbar) sprechen für ein realitätsbegründetes Ereignis. Erklärung: Aus der Irrtumslehre wissen Sie, daß niemand alle Informationen (die er im Gedächtnis gespeichert hat) zu jedem beliebigen Zeitpunkt vollständig abrufen kann. Deshalb ist es nur natürlich, daß in der Wiederholungsaussage zusätzliche Details auftauchen, die in der Erstaussage gefehlt haben, während andererseits einige Details aus der Erstaussage im Bericht der Zweitaussage fehlen und erst im Verhör auf Vorhalt wieder in Erinnerung gebracht werden können. Nicht nur Erweiterungen einerseits und die eine oder andere Weglassung andererseits sind ein Realitätskriterium, sondern selbst ausgesprochende Korrekturen der Erstaussage können es sein […]. Constancy in the core of the action experienced as central by the informing person, as well as changes of single parts of the deposition( insofar as expectable according to the findings of the doctrine of error speak for an event grounded in reality. Explanation: From the doctrine of error you know that nobody can at any given point in time completely recall all information that he has stored in his memory. Therefore it is only natural that in a repeated deposition additional details show up that were missing in the first deposition, while on the other hand some details from the first deposition are missing in the second deposition’s account and can only be brought back to memory through a reminder. Not only extensions on the one hand and one or the other omission on the other are a reality criterion, but even major corrections of the first deposition may be […]. 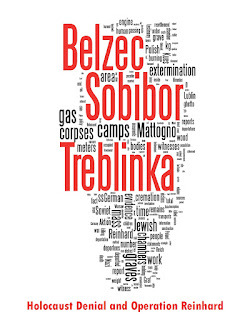 If, as is to be assumed according to the above-quoted testimonies, the capacity of the graves was stretched by the means mentioned in these descriptions, this means that calculating the number of bodies placed in the Belzec mass graves based on the geometrical space available only is no more than speculation, whereby speculation supported by the testified composition of transports to Belzec and the experiment made by Charles Provan is at any rate more realistic than Mattogno’s claim supposedly derived from "experimental data". The majority of graves situated here reached the depth between 4,00-5,00 m. One can suppose that those depths were regarded as the optimum ones; underground waters appeared at bigger depths. […]Das Ausmaß einer Grube kann ich nur ungefähr angeben. Sie dürfte etwa 30 m lang und 20 m breit gewesen sein. Die Tiefe ist deswegen schlechter abzuschätzen, weil die Seitenwände abgeschrägt waren und andererseits das ausgehobene Erdreich am Rand aufgeworfen worden war. Ich meine aber, daß die Grube 5 bis 6 m tief gewesen sein kann. Alles in allem gerechnet, so hätte man in diese Grube ein Haus bequem hineinstellen können. […]The size of a pit I can only indicate approximately. It should have been about 30 meters long and 20 meters wide. The depth is difficult to estimate because the side walls were at an angle and on the other hand the earth taken out had been piled up at the edge. I think, however, that the pit may have been 5 to 6 meters deep. All in all one could have comfortably placed a house inside this pit. Summarizing this sub-item it can thus be concluded that there are weighty reasons speaking against the assumption that the volume of the mass graves existing at Belzec was not sufficient to take in the corpses of the ca. 434,000 Jewish deportees mentioned in Höfle’s report to Heim of 11 January 1943.